How might we shape the workforce of the future? This is one of the biggest wicked problems of our time, and to start solving it we need to reframe it. To help us design our way forward, we brought together Stanford faculty, learning practitioners and industry experts in an intentionally new and bold context. This three-part design series was presented by the Collaborative Learning Fund at Stanford University and hosted at the Stanford d.school. Panelists included: Dean Dan Schwartz, Stanford GSE; Caz Pereira, Growth Sector; Carrie Varoquiers, Workday Foundation; Guy Halfteck, Knack; B.J. Schone, Atlassian; Renee Franzwa, EdSurge; and Lindsey Heisser, Los Angeles Area Chamber of Commerce. Panelists included: Dean Dan Schwartz, Stanford; Professor Bruce McCandliss, Stanford; Dana Koch, Accenture; and Sonia Doshi, Imbellus. On July 26, we turned learnings into action at the Stanford d.school. We defined three clear designed challenges that organizations can use to start ideating solutions to. Special Guests included: Dean Dan Schwartz of Stanford GSE, Professor Roy Pea of Stanford GSE, and Mark Caine of the Center for the Fourth Industrial Revolution at the World Economic Forum. 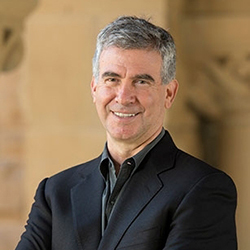 Daniel Schwartz is the I. James Quillen Dean and Nomellini & Olivier Professor of Educational Technology at Stanford. An expert in human learning and educational technology, Schwartz oversees a laboratory whose computer-focused developments in science and math instruction permit original research into fundamental questions of learning. His latest book, The ABCs of How We Learn: 26 Scientifically Proven Approaches, How They Work and When to Use Them, distills learning theories into practical solutions for use at home or in the classroom. 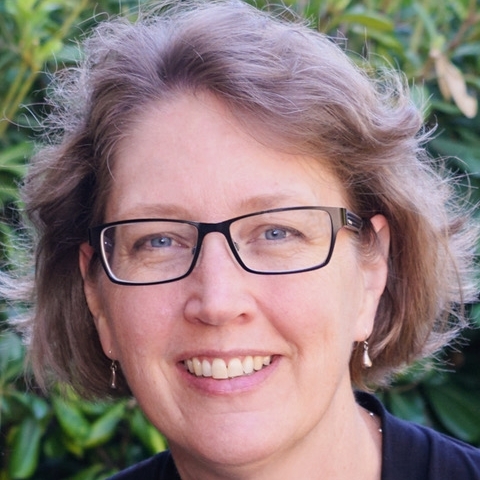 Karin Forssell, Ph.D., directs the Learning, Design, and Technology Master's Program in the Stanford Graduate School of Education. She studies the choices teachers make in learning about and using new digital tools. She teaches about the process of designing digital tools for effective learning. Tessa is a researcher and designer focused on the Future of Work at Stanford d.school. Additionally she is on the IDEO U teaching team, and is the Design Director at Workforce Development nonprofit, New Sector Alliance. Prior she was a Manager in Accenture's Strategy Insight and Innovation Team leading research focused on the workforce of the future. Sergio recently graduated Stanford's Learning Design and Technology Program. He brings eight years of experience developing social impact initiatives that leverage private and public partnerships. As the founding Director of LA’s Tech Talent Pipeline, Sergio launched, developed, and scaled the strategy and operations of the Center for Technology Innovation’s workforce development program at the Los Angeles Area Chamber of Commerce. Bethanie recently graduated Stanford's Learning Design and Technology Program. She has an established career working with AI start-ups across industry. Her particular focus is the application of AI and Machine Learning techniques to improve cognitive development in adults. Bethanie has an established career working with AI start-ups across industry. Her particular focus is the application of AI and Machine Learning techniques to improve cognitive development in adults. Now more than ever, it's time to talk less and do more. Emerging technology is the largest disruptive threat to jobs and economic inclusion for our generation, making it difficult for society to keep up. So much of the existing narrative and focus on this topic involves talking rather than doing. Now, more than ever, it’s time to talk less and do more. We brought together multidisciplinary groups of people in an intentionally different and bold experiment that was underwritten by our bias towards action. Design can be applied to all kinds of problems. But, just like humans, problems are often messy and complex—and need to be tackled with some serious creative thinking. The Stanford d.school builds on methods from across the field of design to create learning experiences that help people unlock their creative potential and apply it to the world.